Every parent has experienced the stress of tending to a sick child. Research has shown that on average, we miss three hours of work per month supporting our little ones. The days of expecting all mothers to stay at home to the detriment of their career plans have come and gone. Yet, we are still more likely to envisage mothers taking time off work than fathers. This is not necessarily the case. Studies have now suggested that fathers are now more likely to stay at home with children who are feeling unwell. Many of us work from home and have flexible working hours. When we do go into the office, there are schemes in place to support our wellbeing. Whilst this is great, our jobs need to take our family lives into consideration. Much like our jobs, our families have become flexible and unconventional. The UK works the longest hours out of any country in Europe and our working culture means that we often catch up on work after hours. Combine this with a sick child and the result is an unreasonable amount of stress for a family with two working parents. Most workplaces do not favour parents because the support employees receive does not typically extend to health beyond the statutory requirements. This is a mistake, because the very same employers will often expect you to check your emails and continue to work after working hours. The relationship needs to be mutually beneficial, and as it currently stands, many employers are simply not doing enough to help their employees meet the demands of modern family life. Legally, everyone is entitled to take time off work to care for their children. However, there is no law which mandates that employers must pay staff for this time. There are also no guidelines for how much leave you can take. The lack of regulation means that someone with a high-flying career who is aspiring to impress their employer is much less likely to take time off. Whether you are sick or taking care of a sick child – chances are you’ll be coming in to work. 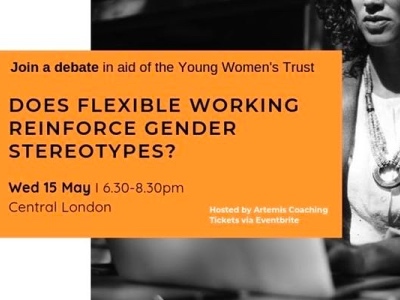 Despite the advancements in society which have helped many women rise to the highest ranks of their organisations, there is a long way to go before offices unilaterally create workplaces with complete equality and balance. Healthcare benefits are a huge component of this. Sickness doesn’t need to have an impact on your work-life balance. There are healthcare benefits available which are flexible enough to offer support for you and your whole family. If your son or daughter is feeling unwell, wouldn’t it be easier to be able to go back to the traditional method of calling a GP to your home? Having the highest level of support available shouldn’t be perceived as a perk – it should be the norm. The flexibility which some workforces have adopted does not seem to extend to giving staff the option to bring their kids to a doctor when necessary. Many offices continue to fail to provide measures which would encourage workers to seek medical advice when needed. Flexibility needs to extend to the benefits which your workplace offers. 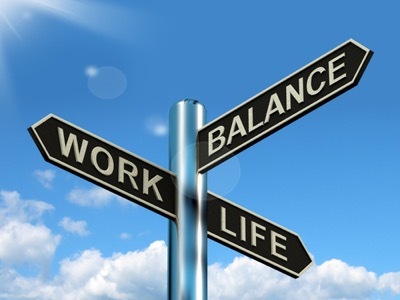 Your office needs to take into account the impact that working culture has on your work life balance, and the fact that the health of you and your family are paramount. Flexible healthcare benefits are a unique and ideal solution that needs to be implemented – this is the only effective way to support our modern day working culture. An employer now has the means to ensure that despite the fact that our jobs are demanding and often all consuming, they do not impact the health of our families in a negative way. Working with an on-demand healthcare company which provides benefits to employees and their families will mean that any sick children are tended to quickly. Any sick parents will have an easy way of accessing support efficiently. Sickness will no longer play a part in hindering your ability to balance time between your work and your family. It’s time for employers to take action. Dr Kenny Livingstone is an experienced GP and Founder and Chief Medical Officer of ZoomDoc, an on-demand GP service that enables GPs to work on their own terms, whilst delivering patients the highest quality medical attention at a touch of the button. 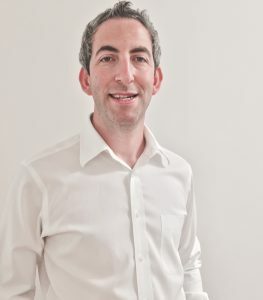 Practicing medicine for the past nine years and working both within the NHS and private sector across London, Dr Kenny has an extensive knowledge of the GP market. His experience and passion for delivering bespoke primary care as well as a strong interest in health-tech and improving GP accessibility led him to found ZoomDoc. In his role at ZoomDoc, Dr Kenny is responsible for leading the team of highly-skilled and qualified GPs, as well as overseeing the on-going developments and enhancements of the business with the goal of offering and ensuring the delivery of outstanding private medical care service – as a corporate benefit and on an individual consumer basis.